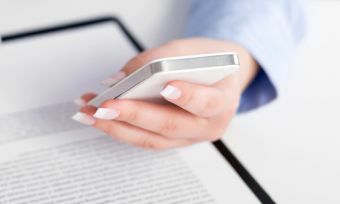 Are you in a mobile reception blackspot? So, you’ve looked at your telco’s coverage map and seen that 4G data coverage blankets your entire town or city. That’s great, but why can’t you get signal, let alone 4G data? Blackspots may dot around pockets of major urban areas even if maps suggest otherwise. Read on for a list of mobile blackspots to see if you could be affected. Note that blackspots don’t apply to underground carparks or similar where a loss in signal is to be expected. 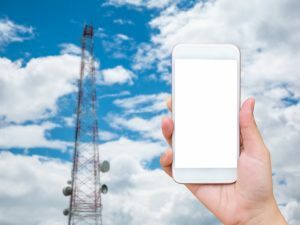 The Federal Government has committed $220m to a blackspot program aimed at building infrastructure in areas with traditionally poor, or no, mobile reception. Areas mainly include major regional transport routes and in smaller areas along these corridors. The three networks in Australia – Telstra, Optus and Vodafone – are all on-board, rolling out a series of infrastructure projects due to be completed in 2019. Capital cities are well covered in regards to blackspots, but others in the regions aren’t so lucky. Most areas are luckily due to be completed sometime in 2018 so you shouldn’t have to suffer much longer. Most of these locations are due to be on-air by early-mid 2018, and mainly consist of areas north of the Sunshine Coast and west of Toowoomba. Luckily, most of these sites are due to be on-air some time in 2018, so if you’ve been living in a dead zone then you won’t have to wait much longer. Just two destinations are identified as blackspots by Vodafone. Most well-populated regions are covered but several areas along the Barkly Highway have been identified, including Lake Corella near Cloncurry. Most of these areas are north of Sydney on the Central Coast and are due to be completed in 2018. Telstra is well accounted for in the Sydney greater region but there are several clusters of blackspots outside major regional towns. Outside Tamworth, Taree and the South Coast down to Albury feature several clusters. NSW is full of well-populated cities and towns and luckily Vodafone covers most areas. However, some outlying small towns near Tamworth and other regional hubs have been identified as blackspots. Most of Victoria is pretty well covered, with the greater metropolitan area of Melbourne featuring no blackspots. Still, some do exist outside the Ballarat area and in the mountainous regions to the east. Telstra covers Melbourne very well, but several clusters of blackspots do exist outside of the state’s capital. Prominent clusters include out near the goldfields of Ballarat up to Daylesford, as well as some in the Dandenong Ranges and out in the Gippsland region. Vodafone has identified one area in Victoria as a blackspot – Glen Valley – which is in the alpine region near Hotham and Falls Creek. Luckily this area is due to be addressed before the ski season kicks off! Tasmania features just two Optus blackspots with most regional areas and Hobart covered. Buckland North to the north of Hobart has been identified as a blackspot, while Strathgordon to the southwest has been identified, yet features an active on-air service. Telstra has more blackspots than Optus on the Apple Isle but not many are in the immediate surrounds of the big hubs – Hobart or Launceston. Some clusters exist up near Ulverstone and only one blackspot is on the west coast. Vodafone has identified only 11 blackspots in Tasmania, so for clarity we’ve published them all here. Luckily the major hubs seem to be well covered, but smaller towns such as Swansea are due to be addressed in quarter two of 2018. The immediate surrounds of Adelaide are mostly covered, except some major regional areas do feature blackspots, such as the Whyalla region, and Port Lincoln. Kangaroo Island also features a blackspot – Stokes Bay. South Australia is pretty well covered, with Adelaide featuring no blackspots. However, several roads in and out of major destinations do feature blackspots, such as roads to Port Pirie and up near the border of the NT near the Stuart Highway. As part of its 74 sites, Vodafone has identified no sites from the great state of South Australia as a blackspot – at least by the end of quarter two of 2018 anyway. Most of Optus’ targeted blackspots centre on tourism locations, with Litchfield National Park featuring prominently. Darwin is well covered, including its outlying regional areas such as the infamous Humpty Doo. Most of Darwin and the outlying regional areas are covered, but tourist destinations such as Douglas Daly Hot Springs and certain clusters up the Stuart Highway around Alice Springs also feature blackspots. As part of its 74 sites, Vodafone has identified no blackspots in the wild, vast region that is the Northern Territory – at least by the end of quarter two of 2018 anyway. Perth is well covered by Optus, with a few select regional areas surrounding tourist destinations identified as blackspots. Some outlying areas near Broome and Port Hedland have also been identified. Telstra covers Perth pretty well but several key tourist and regional areas feature some blackspot clusters. Down in wine country near Margaret River there are several blackspots, while some roads leading into Perth also feature blackspots. Vodafone has identified no regions in Australia’s largest state as a blackspot – at least due for completion by the end of quarter two, 2018 anyway. However, one site in Bodallin (Great Eastern Highway) was completed in late 2017 and another one in Crowea was completed in September 2016. What do I do if I’m not covered? If you don’t see your town or village in the above lists, don’t panic – full lists are available on the carriers’ websites. Additionally, if you live in a capital city or major metropolitan hub, you likely needn’t worry. Still, if you live outside of these areas and you’re not slated to get your blackspot fix, the second half of 2018 could see some changes. Most places listed are due to be completed by the end of quarter two in 2018 and in that time other areas could be identified. Speak to your telco (in a place with reception of course) to find out when your home will come out of the dark ages. 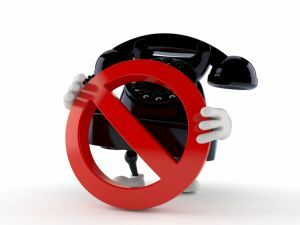 If in doubt, talking to your telco can be enough to ignite change. The federal government and the telcos are spending nearly a quarter of a billion dollars on improving mobile network coverage – it’s only right to see your home attended to as well.